Look, the main knock on the 3DS has nothing really to do with the PS Vita being the same price, or the fact it is graphically behind it’s main competing game handheld. It’s got nothing to do with the cheap app games for Apple products, or even a debate over the 3D being a gimmick or simply brilliant. The biggest knock has been lack of killer software support. Despite the fact that Ocarina of Time 3D is a remake, it still soared towards the top of the charts, just falling 2,000 units off the top seller. The biggest move, of course, was the 3DS. It rocketed from 4th to 1st in unite sales this past week. 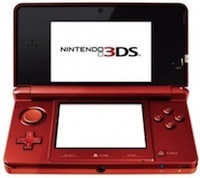 Thus, proving yet again, that killer software is going to the sell the 3DS more than the 3DS itself. If Ocarina of Time was able to move that many units in a week (40,000+ to be exact, and 164,000+ OoT Carts), you can only imagine what Super Mario 3D will be able to accomplish, or a fully realized Zelda game on the system. Not to mention when Super Smash Bros. hits it at some point, or really any other major game support. The 3DS is fine folks. Many people have been wavering and leaning to the Vita, but in the end it’s all about the software. It may be slow coming, but it’s on the horizon. What sort of games need to come out for you to consider the 3DS worth a purchase? Many of us may already have Ocarina of Time 3D, but one game is generally not enough to get your full 250$ value. Oh, and as a reminder, we have a very nice Ocarina of Time 3D Walkthrough for those that need it. DS Lite is finally appearing to die out, and the Wii is not able to gain any ground on the Playstation 3. To be expected with Wii U on the horizon.